Sameride, a rideshare app that connects commuters on the same route, has opened up new lines running through Tysons. With Sameride, app users can either drive or sign up as passengers along a commuter route. Multiple passengers means free access to HOV / HOT express lanes that would otherwise be tolled. App users input their home or office zip codes and can browse commuting route options. One line runs from Stafford and Fredericksburg to Tysons. There are commuter lot locations throughout Stafford and Fredericksburg for pickup, while any destination inside Tysons can be selected. According to Samride, riders save an estimated $230 each month on the trip compared to train or bus fares and $1,450 per month in potential tolls compared to driving solo. The other route runs from Woodbridge to Tysons. Like the first route, there are lot locations throughout Woodbridge for pickup and any destination in Tysons can be selected. 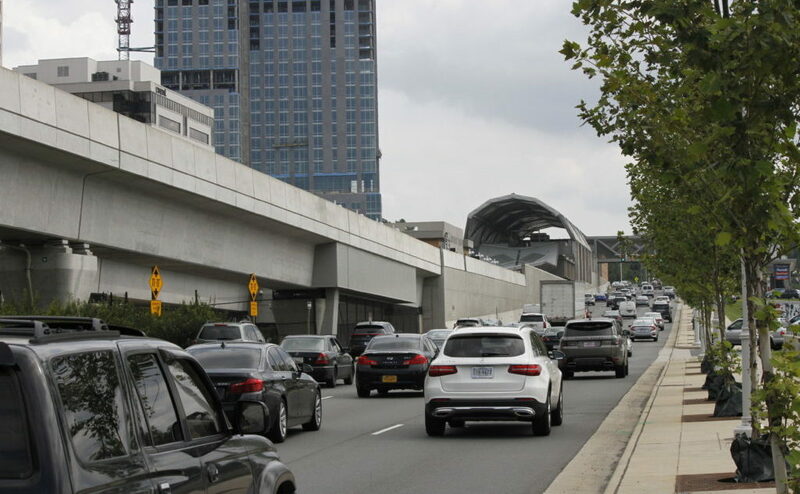 Average cost per month for train or bus fare would be $280 or $1,110 in tolled express lanes.